Mike Beaudet calls himself “Megeve Mike” so that people remember that he gives ski lessons at Megeve French Alps France. An interview of American Ski Instructor Mike Beaudet, better known as Megeve Mike, linked Leo Trippi Luxury Travel for some precious minutes to magical Megeve, and turned out to be an inspiring experience. 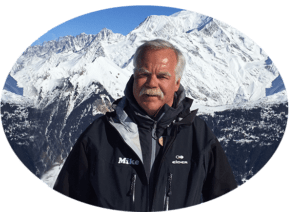 Mike is really a man for all seasons – appreciated academic, successful business man, marvellous skier, and currently director of SkiPros and the Megeve English Ski School. Megeve Mike is truly a Jack of many skills, and master of them all! At heart Megeve Mike is a born teacher. Whether he lectures to students at the University of Denver or teaches a four year old to ski, he finds pleasure in transmitting his knowledge and skill. His Greek Geometry teacher at school really ‘turned him on’ and inspired Mike with the passion to excite and stimulate his students. And knowledge he has: his credentials include Full Certification in Professional Ski Instructors of America-RM, and the prestigious French Government “Ecole National de Ski et Alpinisme” in Chamonix as a Moniteur de Ski Diplome. 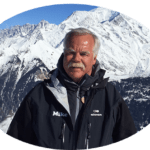 He has over 35 years of ski school and ski teaching and coaching experience in the US and in France and has taught in all the major ski areas in France and America. And Mike acknowledges that the years in real estate contributed to prepare him for his current job with superb organisational skills and understanding of people. The “Affordable Megeve English Ski School” in Megeve provides a hand-picked team of elite American French British Independent Ski Instructors and Resort Guides with a passion of skiing. Although Mike knows the ski manual by heart, he really teaches from his heart, by the way he skis, the way he feels on his skis. He can explain the physics of skiing in a concise, scientific and applicable way, but for Mike the sheer fun of skiing is paramount. 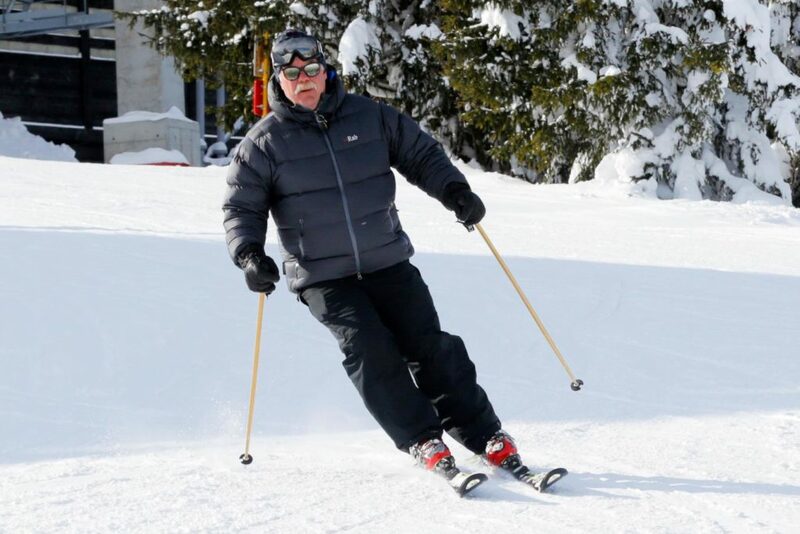 Mike is confident that he can teach anyone to ski, from kids of two and a half to the elderly to seriously Nervous Nellies – he just loves those WOW moments when a learner just gets it! The three cornerstones of Mike’s ski school are: Absolute Safety, Distinguishing Service and Superb Fun. Book at Megeve Mike’s ski school, and become the master of your skis. The hard realities of the competitive world we live in, the stress and the machination of a job exhaust us. At Megeve, Mike wants to give guests who come for a ski weekend or a ski holiday, an experience of freedom and joy, of experiencing a special moment in time, of feeling ‘that was GREAT’! For Mike there is no shortage of reasons why skiing is the ultimate sport! It is one of the few sporting activities that you can do from three to ninety three! 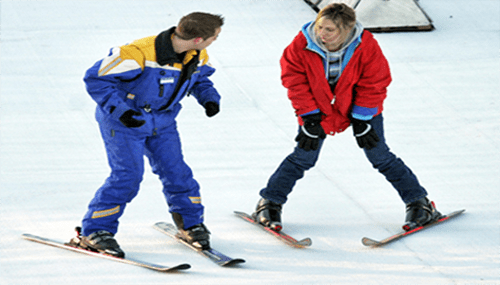 In a relatively short time you can learn to ski well enough to enjoy it. It can be enjoyed at all levels of proficiency: the beginner carefully cruising down a green slope can have just as much fun as the experienced professional flying down a black run. A better sport for the whole family is hard to find. You can go it alone, or in the social environment of a group. Skiing is a skill for life! Be sure to come and ski with Mike at Ski Pros Megeve, an experience you’ll never forget !